April topic comes from Iris, one of the first who has completed our little Committed Reader program. Collecting 5 stickers for attending a regular monthly meetings allows Iris coming up with any subject that she wishes. 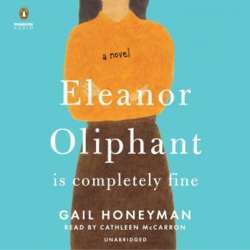 Her choice is "Eleanor Oliphant is completly fine" by Gail Honeyman. We all read the same book for April. Big thanks for Iris for a pick!